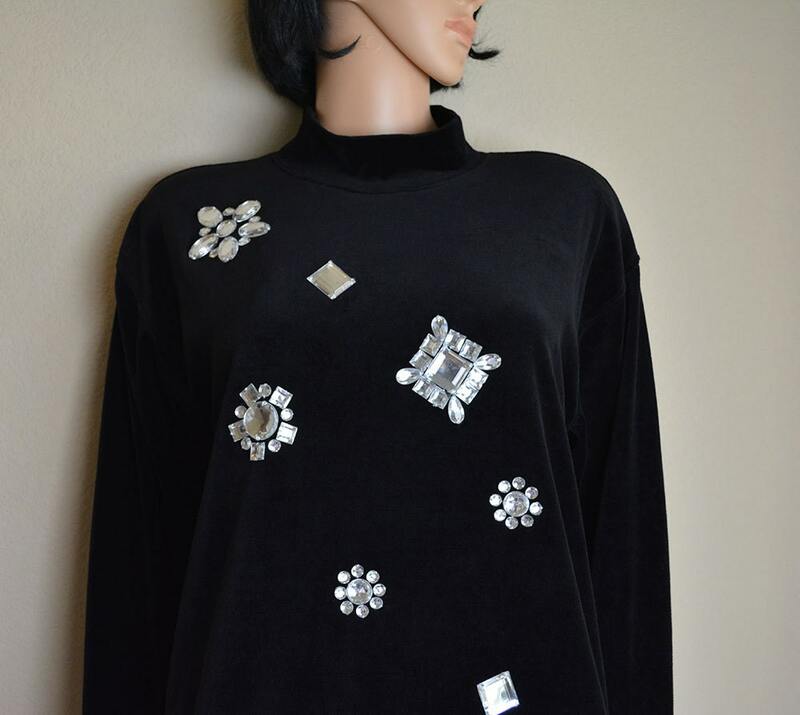 Shine bright like a diamond in this black velvet sweater covered in large faux diamond rhinestones. 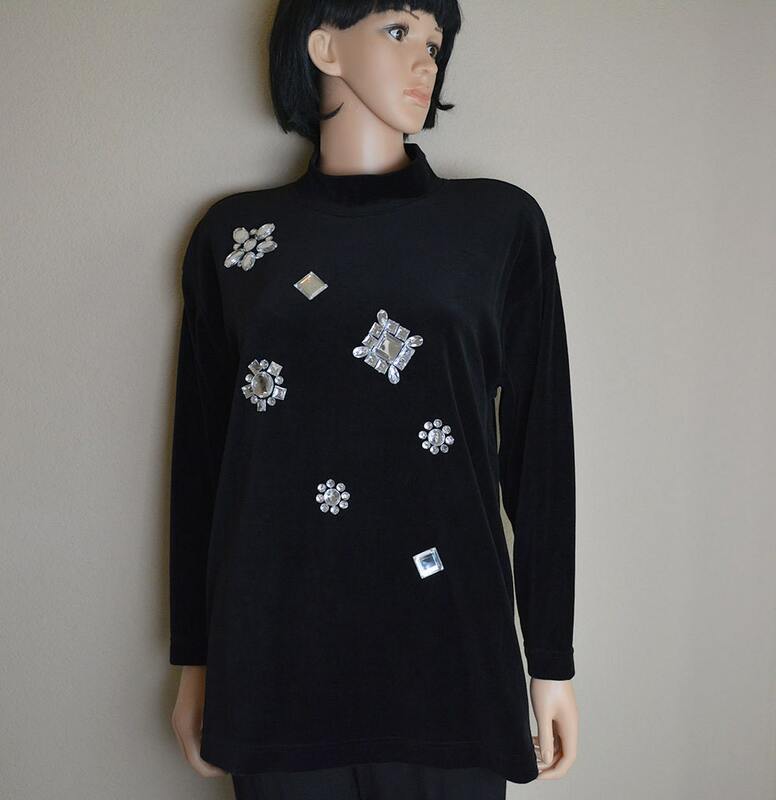 We think this sweater is very 60s mod inspired in spite of being made in the 80s. It is long in length and is very figure flattering. This pullover has never even been worn. 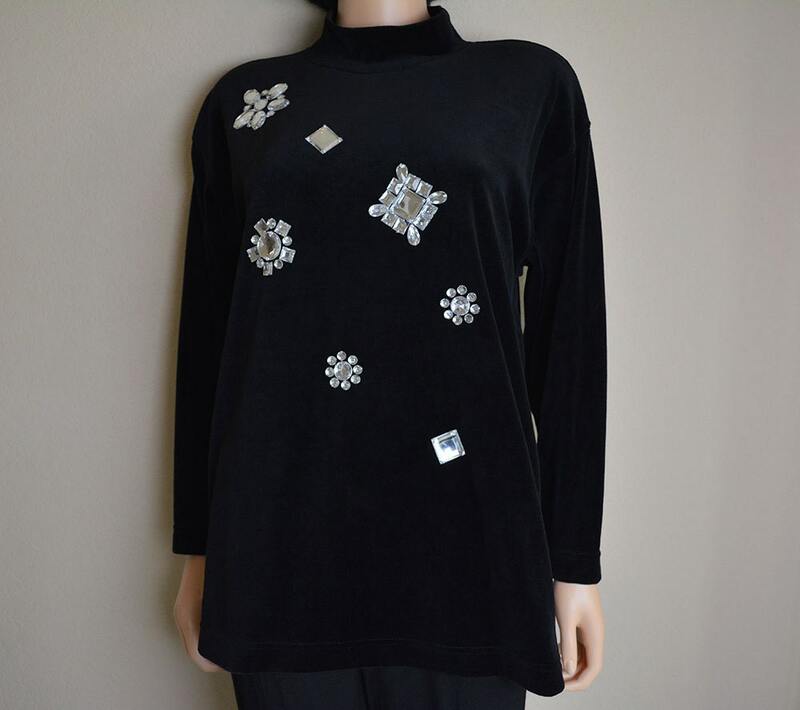 It was owned by a woman with an extremely large collection of vintage clothing all in excellent condition. 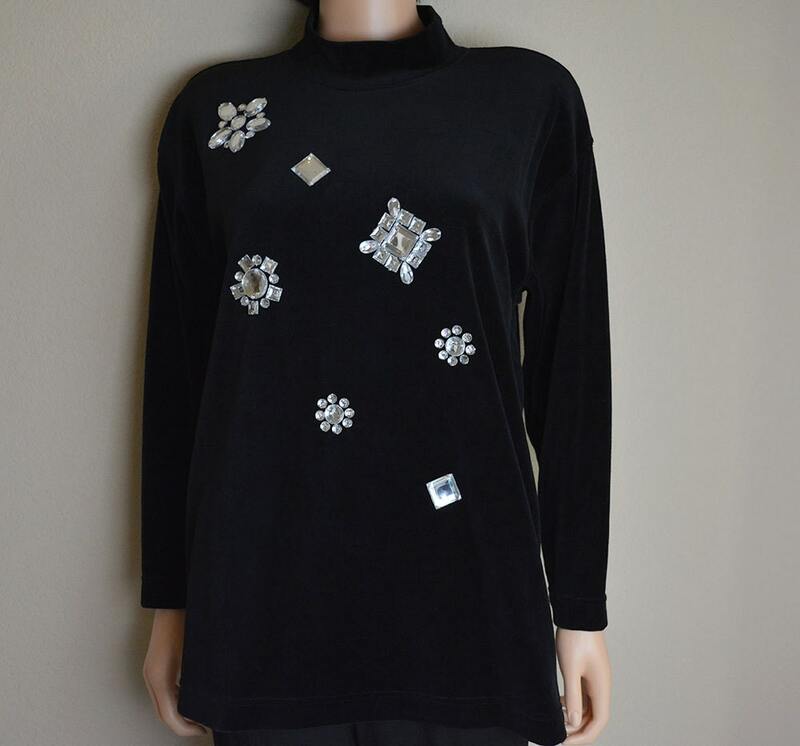 It still has the original price tag attached, and it originally retailed for $66.00!